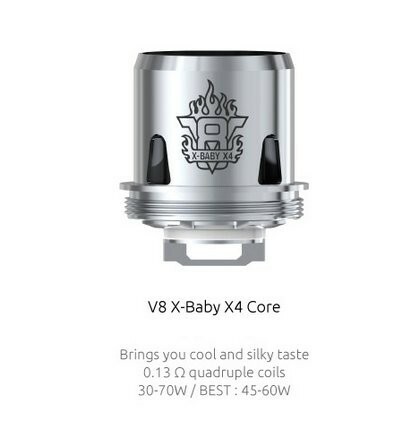 SMOK V8 X Baby X4 Coils 0.13 Ohm | Electronic Cigarette Co. 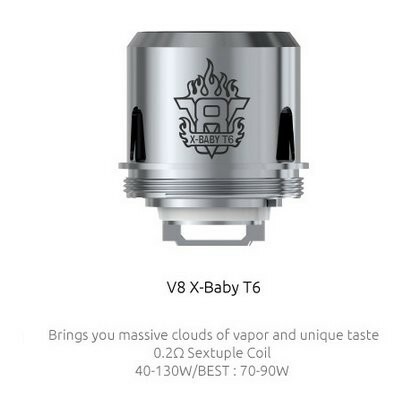 Pack of 3 genuine replacement SMOK V8 X Baby X4 quadruple stainless steel coils 0.13Ω Ohm. 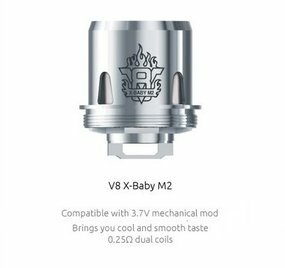 Compatible with the SMOK V8 X Baby tank. NOT compatible with the Baby or Big Baby tank (or the Stick V8 which comprises the Baby tank). 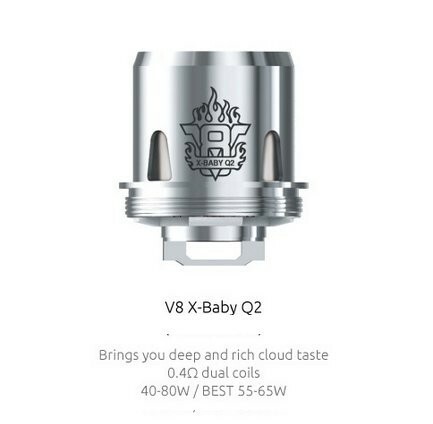 Use this link for V8 Baby coils. Wattage range 30-70W (best 45-60W). Pack of 3 SMOK V8 X Baby X4 Coils 0.13 Ohm.